RIO DE JANEIRO , Apr 24 2018 (IPS) - An energy transition is spreading around the globe. But in Brazil it will be characterised by sharp contrasts, with large hydroelectric plants being replaced by solar microgenerators and government decisions being replaced by family and community decision-making. “The future is solar, but it will be a difficult and slow process, because electricity concessionaires will not accept a new role, with a loss of market share. People will no longer be mere consumers,” predicted Joilson Costa, coordinator of the Front for a New Energy Policy for Brazil (FNPEB). The current data run counter to his forecast. Hydroelectricity continues to dominate power generation in Brazil, accounting for 63.8 percent of the country’s installed capacity and a total of 158,798 megawatts, according to the National Electric Energy Agency (ANEEL), the Brazilian electricity regulatory body. 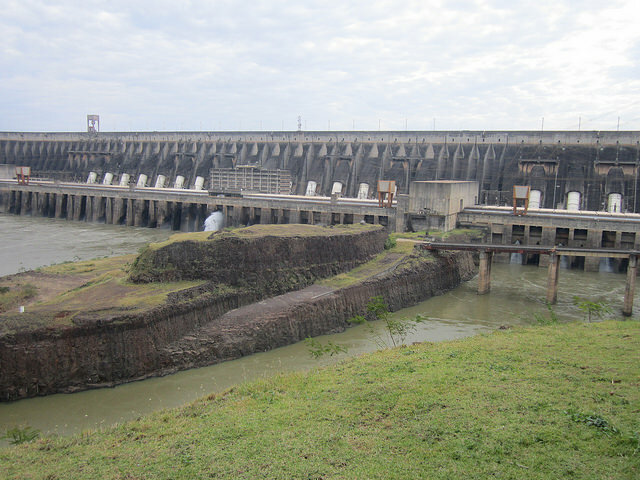 Brazil has three of the six largest hydroelectric plants in the world. One of them, Belo Monte, on the Xingu River in the Amazon rainforest, was inaugurated in 2016, with a capacity that will reach 11,233 megawatts in 2019 once all of its turbines are operating. Until now, these megaprojects have been the focus of Brazil’s energy transition, which is a gradual replacement of fossil fuels with environmentally friendlier sources. Solar power makes up a mere 0.73 percent of the total generated electricity, which is equivalent to 1,164 megawatts, according to data from ANEEL, referring to 1,445 plants of companies that use solar panels as an energy business, to sell to the market, like hydropower or thermal plants. But it is the micro or mini-generators, which produce electricity for self-consumption in homes and companies, the so-called consumer units with distributed or decentralised generation, that present prospects for greater growth and transformation of the electrical system in Brazil. In April there were a total of 26,620 installed consumer units, 99.3 percent producing solar power and the rest hydro, wind or thermal energy, which includes biomass. They generate a total of 317.7 megawatts, and their capacity is growing nearly threefold every year. Solar energy’s share of Brazil’s electric mix will increase to 15 percent by 2024, estimates ANEEL, and by 2040 it will reach 32 percent, most of it generated on household rooftops, according to Bloomberg Energy’s 2017 report. This explosive growth, involving millions of homes, businesses and public buildings, will demand, and will surely force, the elimination of hurdles standing in the way of their development, especially regulatory barriers. In Brazil, these micro and mini-generators cannot sell their electricity, lamented Costa, an electrical engineer. Their kilowatts are incorporated into the power grid and are deducted from the total consumption by the household, company or institution, he explained to IPS. If there is a surplus, it is registered as credit to offset future consumption. It thus does not generate an income as in Germany and other European countries, where the sale of surplus energy is “another incentive that drives distributed generation,” Costa said. But they do contribute to the family or company budget by reducing costs. “We support solar energy because it has the lowest social and environmental impact of all sources. You can use the unused space on rooftops. That’s why we’re fighting for it to be incorporated into housing programmes and the public sector,” the activist said. The “Energy for Life” campaign of the FNPEB, a network of dozens of social organisations, calls for incentives for distributed solar generation, as a way to strengthen the electric system and reduce poverty. An initiative considered exemplary by Costa was the construction, in Juazeiro, a city in the northeastern state of Bahia, of two sets of “My house my life”, a government housing programme for poor families, with 9,144 photovoltaic panels installed in 1,000 houses. 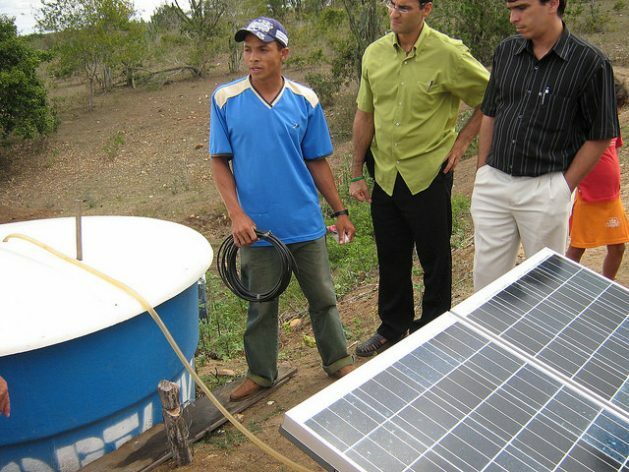 The initiative of the Caixa Econômica Federal, a state bank that supports social policies, together with the private company Brasil Solair, allocates 60 percent of the product to the 1,000 families, 30 percent to improve community life with services and facilities, and ten percent for the maintenance of the equipment. In this case there are significant surpluses, which go to the community, since it is estimated that the capacity of 2.1 megawatts can supply 3,600 homes, including in the form of monetary income. “But it is a unique experience, a pilot project financed with non-repayable funding by the Socio-environmental Fund of the Caixa, which operates as a mini power station,” said Costa. Formally it is the company that sells the energy generated on the rooftops leased for that purpose, in an “arrangement” that is hardly replicable, according to the activist, because it requires donations and a company that shows solidarity with the community. The solution he proposes is the creation of a national fund to finance distributed generation, with repayment but in the long term, so that the cost of the loan does not exceed the savings generated with the electricity produced by the debtor. Another advantage of these micro-generators is “energy sovereignty,” he said. Families, businesses and communities gain decision-making power, while the social and environmental damages of large hydroelectric plants are avoided. The resistance mounted by indigenous and riverbank communities, the high cost of compensation for environmental and social damage, in addition to the severe drought in the basins that generate the most electricity, and the economic recession of recent years, interrupted the wave of large hydroelectric plants that got underway in the last decade. 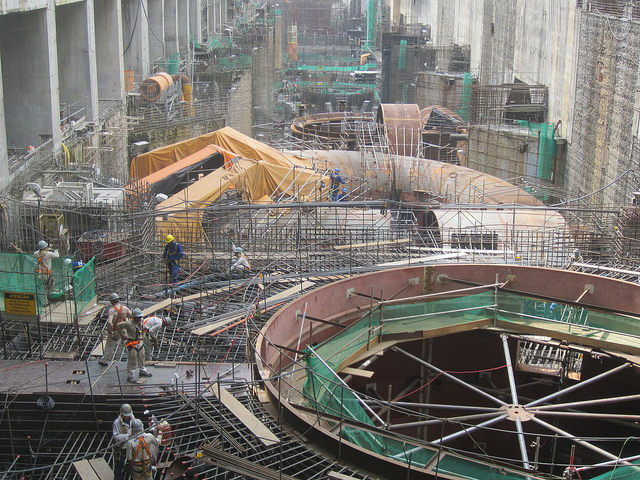 Belo Monte will possibly be the last hydropower megaproject in Brazil, acknowledge energy industry authorities and experts, who argued that the country’s large rivers were the best, cheapest and sustainable source of electricity. The crisis in the sector and the reduced hydroelectric generation in recent years drove up the use of fossil fuels, making Brazil’s energy mix more expensive and dirtier. The growth of solar power could interrupt this trend. “Distributed generation has an extremely positive effect for the Brazilian power grid, which is different from all the others,” said Roberto Pereira D’Araujo, director of the Ilumina Institute for the Strategic Development of the Energy Sector. According to D’Araujo and many other experts, the singularity of the Brazilian electrical system lies in the high proportion of renewable sources. In addition to hydroelectricity, there is biomass from sugarcane, and wind. Together, the three sources generate 80 percent of the country’s electricity. And in transportation, Brazil uses the largest proportion of ethanol in the world. Another aspect is that the peak consumption of electricity in Brazil currently occurs around 3:00 pm, not early at night as before. In this new reality, solar power allows water to remain in the reservoirs, favouring their management, explained the specialist, an electrical engineer and former official of a state-owned power company. The complementation between hydro and solar power is more manageable than that of fossil fuel power plants that burn heavy fuels, the most widely used in Brazil, which require more time to turn on or off, he said. Solar generation occupies little space, compared to other sources, and in the long term will tend to be cheaper, although it is not yet. The big problem will be to reorganise the entire system, especially distribution, where companies that are now operating will strongly resist change, D’Araujo concluded.